By now everyone is likely to know that there is an agenda which aims to keep oil dependence, create diversion, increase taxation over falsehoods and hoaxes; all the while progressing with Directed Energy Weaponization: and the underpinnings of Globalist Agendas. This is about the interplay of the generically labeled Technocratic operations of todays: the NWO arms race. It is in the field and the field at times is upon the civilian populations. We are used for neurological experiments using frequency. Blast zones, once confined to proving grounds, have morphed to global scale. Operational frequency tests are operational nonstop, to see what comes of it. These actions are not confined to knowns or absolutes and that means outside of human knowledge. It is all a gamble. We are in a global casino and the house is run by sociopaths as regards humanity, and psychopaths as to themselves. They gamble on existence; that includes their own. There is a Pong like global rebound from earth which bulges the ionosphere and rebounds pulses from point A. A -in this case is an unknown. What can be extrapolated is that an impact occurred on the southern ice continent. These are tomographic in their nature, largely due to there sheer power levels, but also due the modulation of frequency used and duration of event. The earth’s subterranean structure continues to be mapped. The Corporations that are involved work to the same ends. Once oil exploration was best guess, or hit or miss. With the knowledge of strata, gas pockets, caverns, metals, geologic and volcanic formations as givens, so are their changes. That is an aspect of a format which goes to Global Warming, by design, that this event proves operational. Here things come full circle with the knowledge of the depths of ice, land mass, and aquifers in the southern polar region. Microbial life has been confirmed in subglacial aquifers. 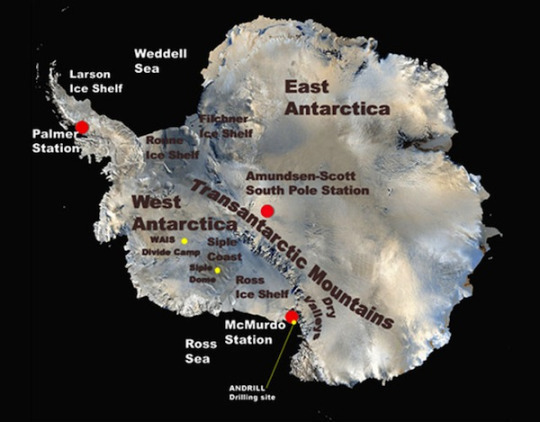 Reports of over 4,000 species of microbes have come from the Antarctic. 1* Just when did Superman look through the icecap to find this subglacial lake on a massive continent? Was it warmed by the action of induction? Have the years of tomographic Waveforms awakened previously dormant microbes? As with the Ozone Negation Agenda, while the firmament continues to thin, its response is a migration toward equatorial regions from both poles as evidenced in PSC or Nacreous Clouds, which are ever more frequent in display. Ionospheric Heater Operations are optimized during the polar spring to summer. It is the axial tilt which allows for the favorable conditions. We see few of the returns as The Algorithm refines its imagery. This year in this peak season we seem to be catching glimpses of an event about once a week here in the northern hemisphere. Technical upgrades are the winter itinerary. The evaluation of data and algorithmic programing proceeds within climate controlled conditions on site. The R and D continues as the polar latitudes are the prime regions to rebound frequencies in the linear progression of the trajectory operations. 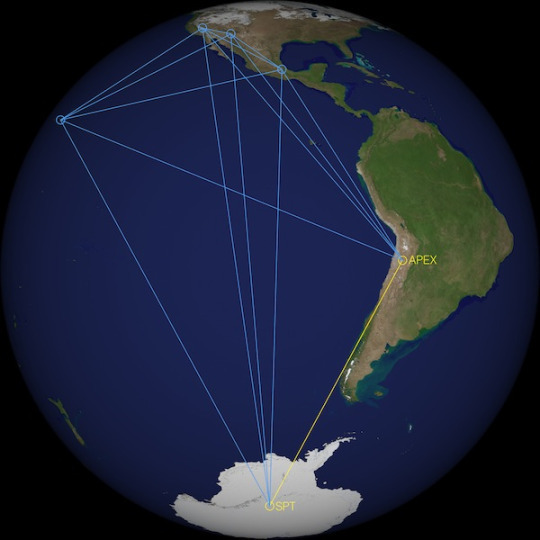 An example of interfaced trajectory is below with the South Pole Telescope and the accompanying chart showing the locations of the APEX and South Pole telescopes. 2* It appears to be a parabolic dish to me… That would be a Radio Telescope, which is a societally integrated term for a frequency emitter and return assimilator. When you see an impact like this one from 24th June 2015, lasting over seven hours, there is massive data collection of an a specific nature. This was done with very specific intent. Was it done by what we would label U.S. covert ops? That will remain hidden for now. There are ionospheric heaters covering the globe. Many new generation frequency generators appear to be made for stellar exploration. That is one function, a cover as regards their deeper intent. This is a loop of yesterdays event, for lack of accepted lexicon and geopolitical label changes, a HAARP Ring. Apologies, the loop is corrupt. It should remain black in the areas that are not registered. The black is not censorship, it is the function of satellite imagery as mosaics are created from differing angles as time passes and their locations with it. In both polar regions, surface ice is at record levels. Here the seeming repetition goes to a different issue. There is one thing that propaganda and diversion by and large contain and by the stealth of the spin doctors it remains overseen. That is the excitation at the molecular level, of the structure of these subterranean depths due to this electromagnetic induction. Water, more so than solid substance, slows the conductive passage of these extremely low frequency Waveforms. The duration enables both penetration and as an aside, the heating of said substructure. Hence, in the North we have escaping Methane, once locked in frozen stasis. A similar deep melt is happening in the Antarctic. This is the origin of the Technocratic I.E. Geopolitical, State Run Media posit of sea level rise. The pundits and debunkers are numerous: money talks, and there is always blackmail. At least it goes to the seeming action/ reaction that is inevitable. This satellite image is from several hours prior to the Ring event. The Stratospheric agenda, ozone mitigation as it is called, is the mirror of the facts of the agenda. This link is not shown as an educational paper. It is here to show the admission of the operation for thirty years prior to 2008: that goes to 1978. 3* Other papers go back into the sixties. The British Scientific Survey named PSC’s in the late 50’s when they where first put to record and named. There may have been natural volcanic events that created the same stratospheric shredding of ozone, but they did not last as these have since the operations began. 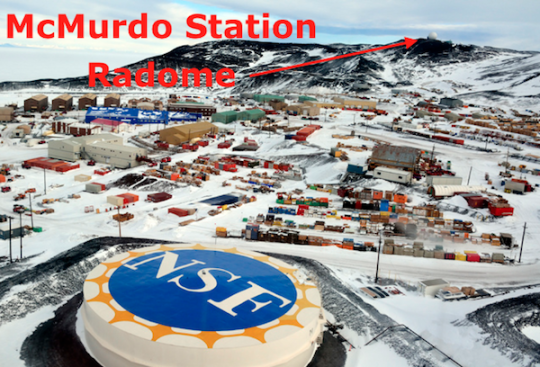 Now it is time to address McMurdo Station and the NSF -National Science Foundation -agenda. First it should be mentioned that Raytheon shares the so called NSF Chalet. Next you should know how much is going into the Obama 2016 NSF budget. Quote: National Science Foundation -NSF -Director France A. Córdova outlined President Obama’s fiscal year 2016 budget request to Congress for NSF. The FY16 requests calls for -$7.7 billion -for NSF, an increase of $379 million over FY15, which is an increase of 5.2 percent. 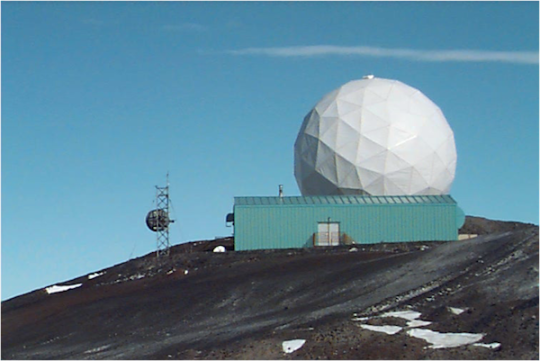 To the left at 10 o’clock is the McMurdo Station Radome. It is covered with the same style dome as the XBX and SBX X-Band Mobile Arrays that are in operation today. One angle of this massive installation with some of its support systems, and the presence of a linear cloud like formation above; way above. It is the agenda. 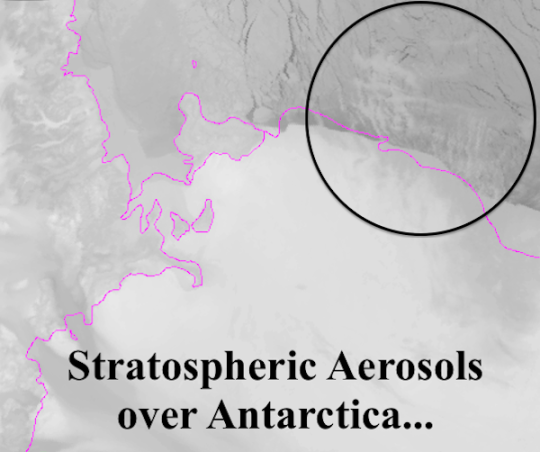 They aerosol above 70,000′ on record, and have been doing so for many decades. Thank you Bill Gates for helping with the aid of Warren Buffets Money. Yes, Wells Fargo -Wachovia; conveniently acquired in 2008 by Mr. Dairy Queen. More imagery of aerosol fallout as the canopy begins to be made a synthetic conductive field. 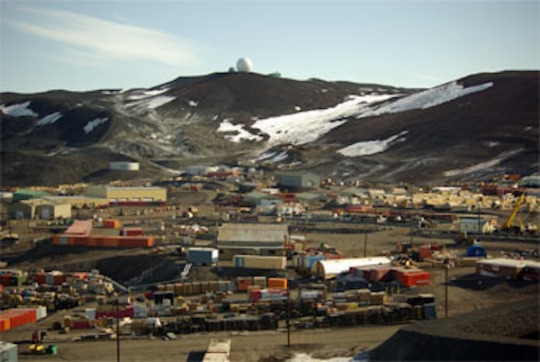 There are links at the bottom to other articles on McMurdo, the NSF, and Raytheon’s complicit eugenics operations built out of site and working hard to keep them out of mind. They cannot let humanity know of the surreptitious, interfaced nature, and the compartmentalization of the combined Global Machinations. 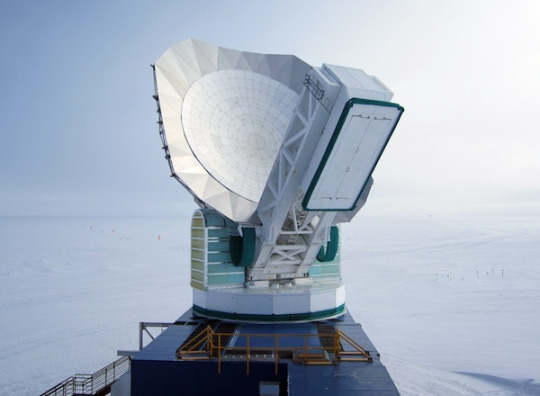 This is an image of the interfaced radio telescopes that the SPT has been connected to. These are Various type of Ionospheric Heaters. Here are more links with further data on this covert Globalist base and interfaced operations. 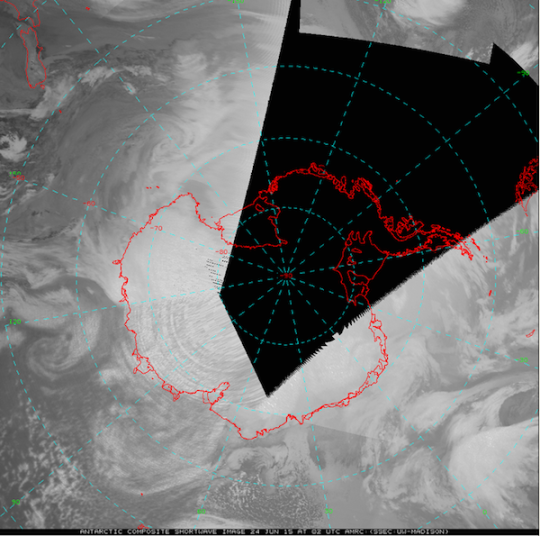 This entry was posted in HAARP Ring, McMurdo and tagged #Aerosols, #Covert operations, #Depopulation, #DEW, #E. Pollution, #Eugenics, #Funding, #HAARP Ring, #McMurdo Station, #NSF, #Radar. Bookmark the permalink. Mindblowing article! And so many questions for the Obama´s Gov! 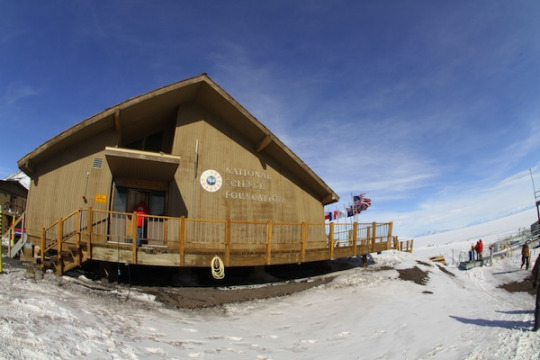 Hiding Raytheon at NSF chalet & using the NSF budget for their sinister agenda?! Insane criminals took over the US Govt, 3rd party contractors running the world. Hope Trump will do sthg about it. Have you finished your new article on John Kerry’s visit to McMurdo (stopover in NZ) and ´pure coincidence` of its timing NZ earthquake? Thank you for inspiring research! Any idea what it is? 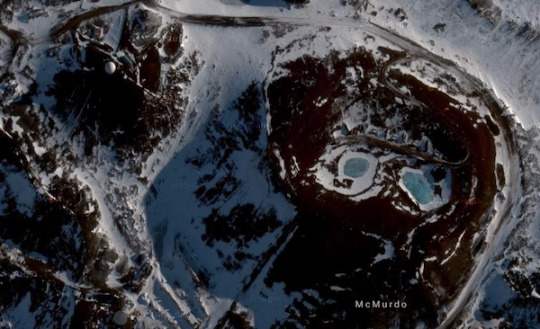 HAARP McMurdo? or Orbital? Don’t know what o. thinks. Sorry wasn’t party to that dialogue. I’ll run this past when there is contact. 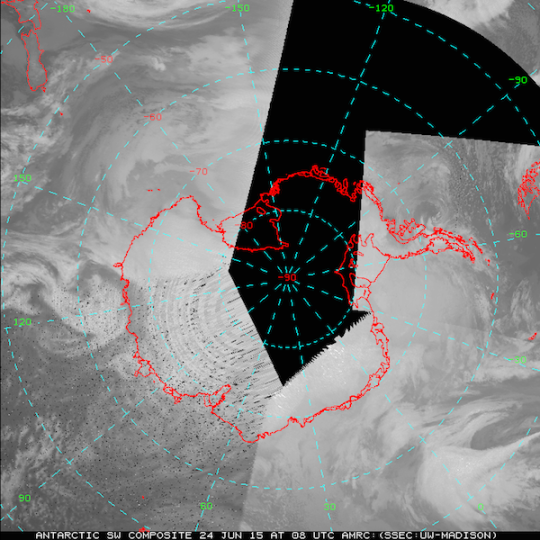 If we’re talking about the NZ EQ… Ionospheric Heaters / over the horizon Radar has as its end point a radio tomographic nature. Synthetic plasma passes through all that stands in its path. seeing the location of the Ring sing from that highly active time of the year, it is not a stretch to assign, as a potential, this Future Weapons R and D as a primary if not actual catalyst for the destabilization of the regions subterranean structure. 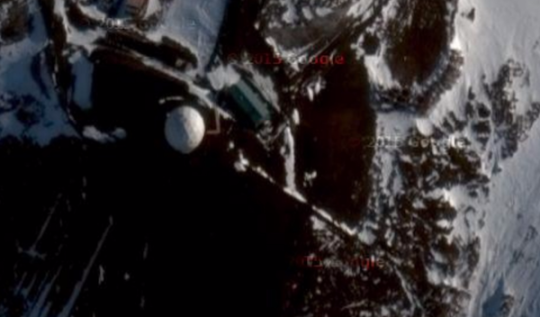 We’ll check to see the current state of the McMurdo Station sat returns / imagery. Sorry for late reply, thank you for writing back on 14/12/2017 (ouch, ages ago, sorry it’s so late, I forgot to reply)..really interesting what you wrote & so sickening at the same time.. what’s wrong with them??? those who organise this>> the US Gov’s #DeepState.